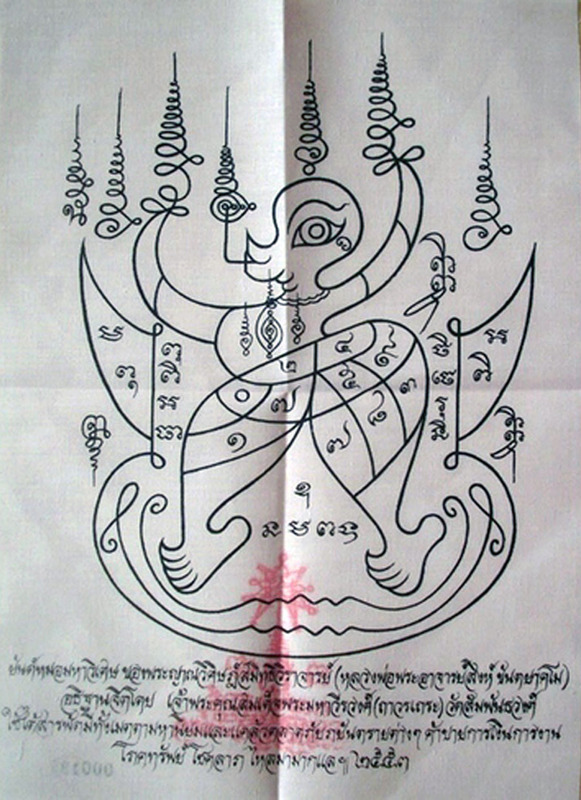 This pha yant is made by Pra Maha Wirawongs, using the wicha given to him by Ajarn Singh, who is the creator of this sacred yantra. It is an extremely rare design to find, if anywhere at all, which thereby makes this particular yantra cloth a highy collectible item as well as a rare magical wicha to possess within one’s armory. 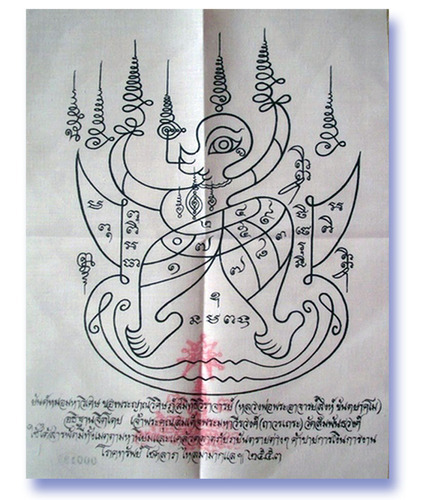 It is a multi use magical yantra cloth for increasing wealth (maha lap), improving business (kaa khaay), enhancing charisma (metta mahaniyom), evading dangers (klaew klaad) and increasing riches and treasured possessions (maha pokasap). Pra Maha Wirawongs is the abbot of Wat Sampant Wongs, and the direct looksit of Ajarn Singh. He travelled on tudong together with the two great Thai forest master monks Ajarn Mun Puratto and Ajarn Sao.